Create lifetime memories aboard St. Martin's only semi-submersible, in the comfort of our cruising underwater observatory. Young and old alike will enjoy this wonderful opportunity to observe and learn about the remarkable varieties of tropical fish and coral in their natural habitat. Your knowledgeable marine guide will tell you all about the wonders you will be taking in throughout your tour. Learn about the delicate ecosystem of reef development and watch in awe as your experienced scuba diver hand feeds the fish - bringing them alongside your own large observation window. Atlantis has carried hundreds of thousands of happy guests on our semi-submersible tours in St. Martin, and over 10 million guests on our various tours throughout the Caribbean, Hawaii and Guam. It's the perfect family activity! 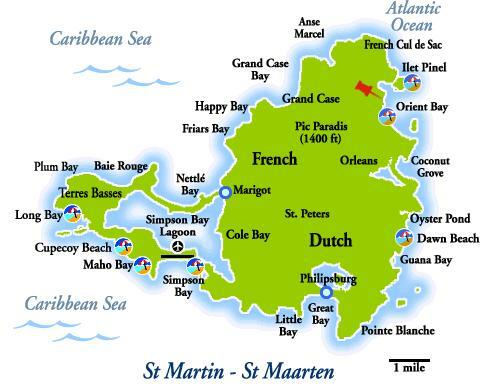 Our tour in St. Martin includes a short, scenic coastal cruise that takes you to Creole Rock, where our scuba diver escorts you on the undersea exploration of a lifetime. You'll see the stunning sea life and colorful tropical fish - so close you'll feel as if you can just reach out and touch them. Your adventure begins in Grand Case, a quaint, unspoiled fishing village on the French side, famous for it's idyllic bay and delicious restaurants. Here our friendly crew will welcome you aboard the Seaworld Explorer a state of the art semi submarine developed for use on the Great Barrier Reef in Australia. Enjoy the scenic cruise through the harbor to the unique geological formations of Creole Rock. Throughout the trip, our knowledgeable marine expert provides an informative and entertaining commentary. On the return trip to shore, our crew will serve you a complimentary drink, which you can enjoy along with the magnificent view of Creole Rock and Grand Case Bay. Experience St. Martin's stunning undersea world on the SEAWORLD EXPLORER, Atlantis Adventures' unique cruising undersea air conditioned observatory. Marvel at the beautiful sea gardens, coral reefs and abundant varieties of sea life you would not believe St. Martin actually has. Tour available for just only US$39 per adult and US$25 per child. Our ticketing office is located at Bush Road #24. Next to The Daily Herald building in Cul-de-Sac on the way to Philipsburg. 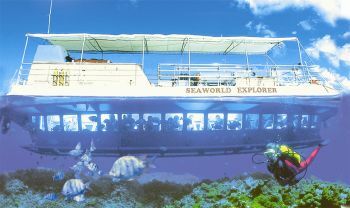 The SEAWORLD EXPLORER departs from Grand Case. This tour operates daily with tour times in the morning and afternoon. Passengers will be charged a $1.00 Marine Park Admission Fee when they check in for their scheduled tour. Rum and fruit punch will be included on the tour. We also provide transportation service. You can arrange for our tour bus to pick you up at your hotel. The additional cost is $11 per adult and $10 per child. 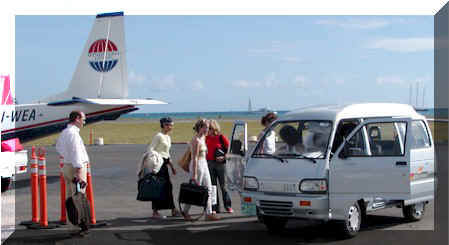 Air St. Maarten organizes private and shared charters. Learn all about our private and shared charters and how you can book yourself on our next charter flight by clicking here.